Please see our Special Occasions page for details of our excellent free dining experience for your special occasion. When you come in and order a drink, main course and dessert, you get a stamp. 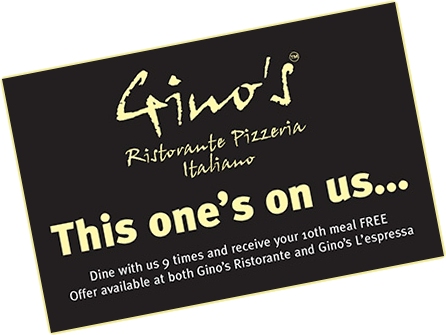 When you have collected nine stamps, your tenth drink, main course and dessert are on us (free). We have a large range of authentic Italian cuisine, using only the finest quality ingredients sourced locally from the Lincolnshire region.